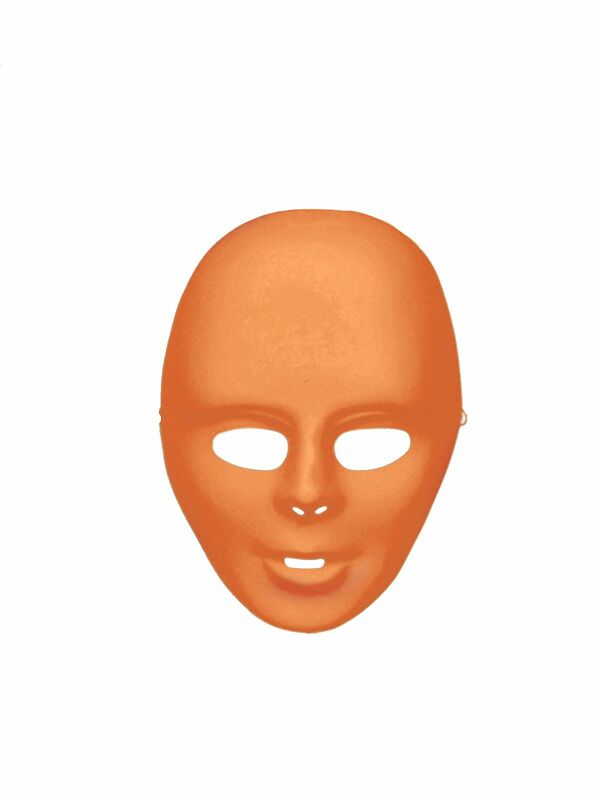 The Face Mask Orange is a great selection when deciding on a costume mask. The mask covers the entire face and has cutouts at the eyes, nose, and mouth for breathing and visibility. The mask is a bright orange shade and can add a colorful accent to any costume.